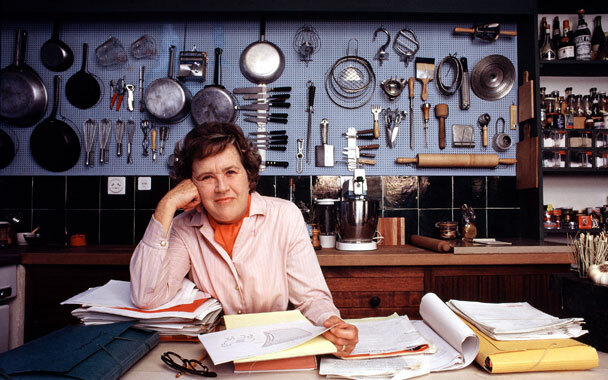 Last Wednesday marked the 100th birthday anniversary of Julia Child, and I’ve had her on the brain everyday as I relentlessly poured over recipes from her two volume food bible, “Mastering the art of French Cooking.” Julia’s charismatic on camera personality and her tremendous passion for a fine meal have always had a great impact on me as a food enthusiast. Julia introduced Americans to the fine art of French cuisine during a time when it was thought of as better to dine on TV dinners. Her distinctive warbly voice and sense of humor made her show “The French Chef” not only a source of education, but entertainment as well. 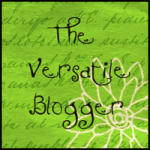 Even as she made errors with her technique, and fumbled with ingredients, she kept going. She was a fantastic teacher. 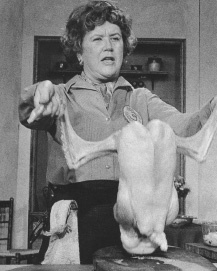 Julia Child is the “Shakespeare” of the culinary world and her name will continue to live on forever. 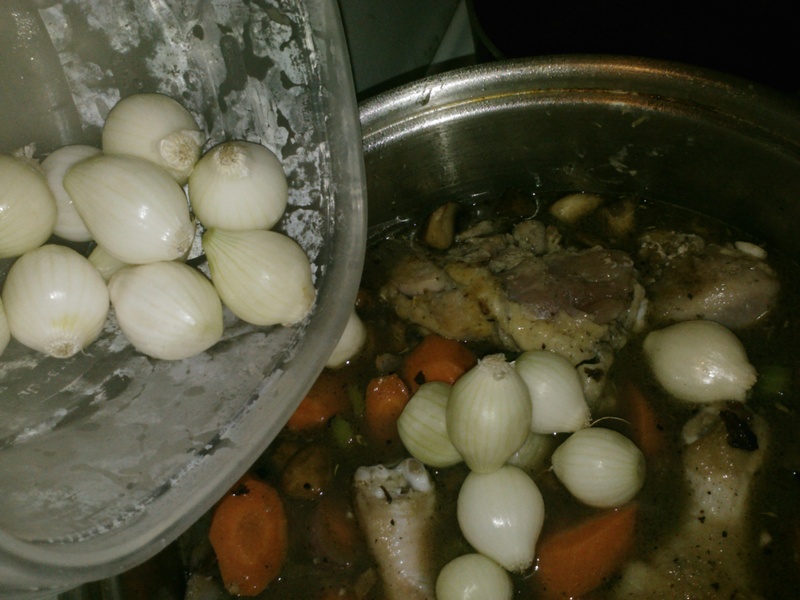 Of all her recipes, I decided to re-create her classic “Coq Au Vin” dish. There are a few steps to this recipe, but the preparation is pretty straight forward. This is one of the sexiest dishes I’ve ever made, chicken drenched in red wine while cooked slowly, as it produces melt in your mouth meat that falls straight off the bone. Yum. 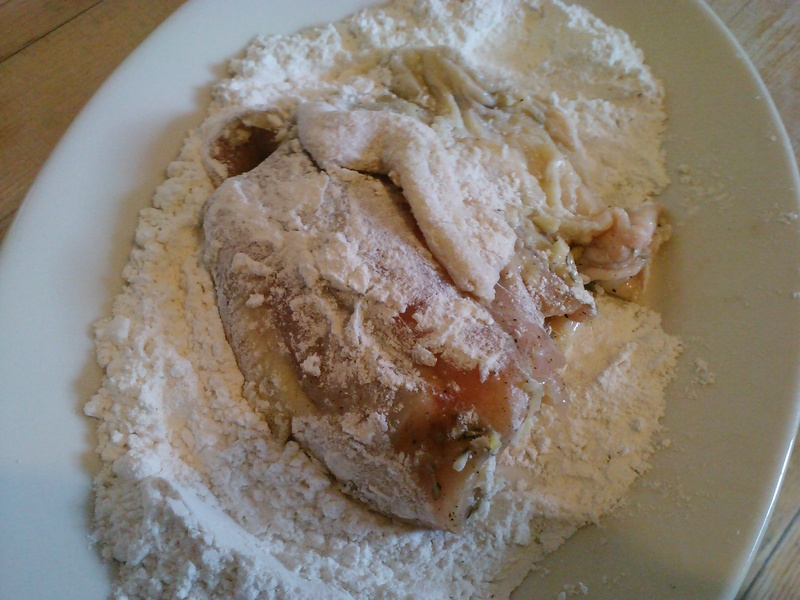 Chicken thigh doused in flour. I love the natural juices that earthy cremini mushrooms produce when slowly cooked. 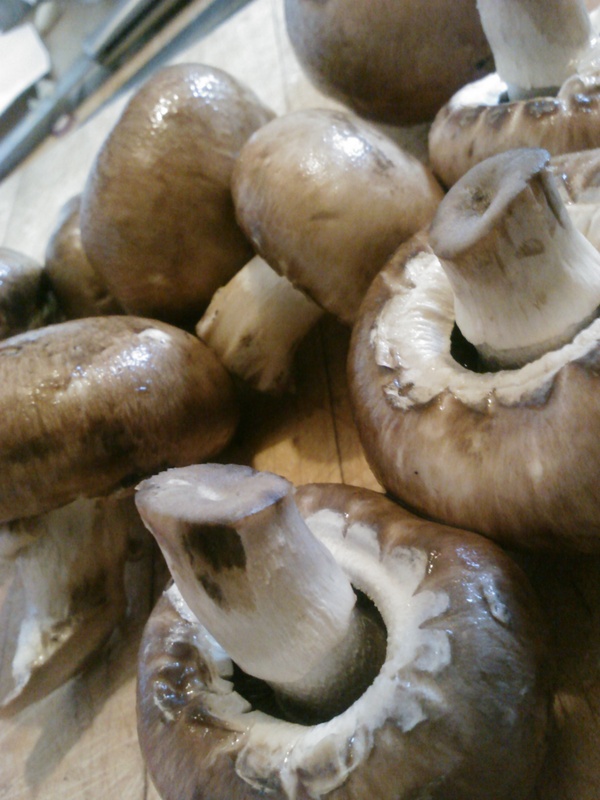 The original recipe calls for button mushrooms, but these were readily available in my fridge. Chicken thighs and drumsticks simmering in a hot, bubbling bath of red wine, cognac, chicken stock and juices exuding from the veggies. The fragrance traveled out into the corridors for everyone to enjoy. 3. 5 cups of cabernet sauvignon or another deep, red wine. Wash & pat chicken parts dry, season with salt & pepper. Rub chicken with minced garlic and thyme. Place into the fridge for an hour. Meanwhile, chop carrots, red onions, celery and mushrooms, set aside. Peel pearl onions, set aside. In a bowl, take about 1 cup of all purpose flour and coat chicken with flour (it will thicken the sauce, too). In a stock pot, add pieces of bacon in about 1/2 cup of water. Allow it to reduce slightly for 3- 4 minutes and get it screaming hot. Brown the chicken on all sides (about 3mins per side), remove from pot. Add one tbsp of butter, carrots, celery, red onion and a pinch of salt & pepper until the veggies tenderize and onions are slightly translucent. 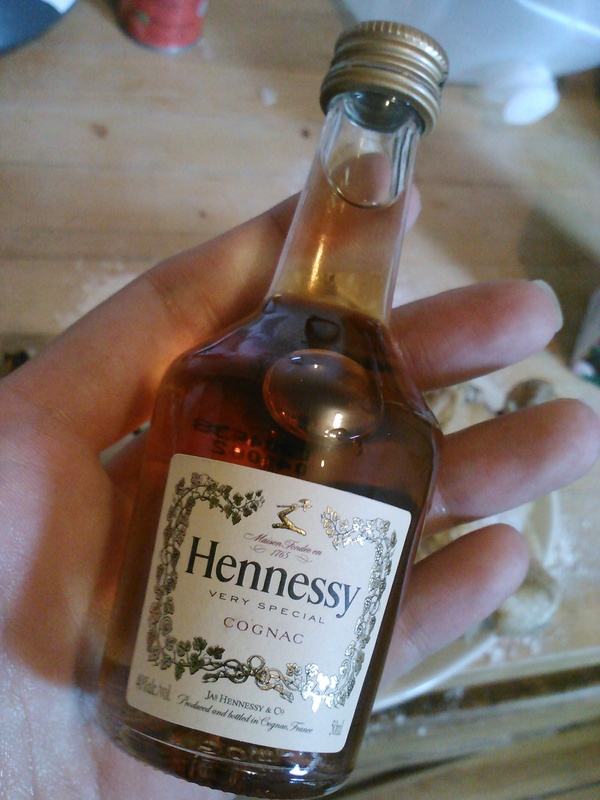 De- glaze the pot with the cognac (it intensifies flavors of the dish and makes cleaning the pot much easier, too). In a separate skillet, saute mushrooms over medium heat in one tbsp of butter and a pinch of salt & pepper until tender. 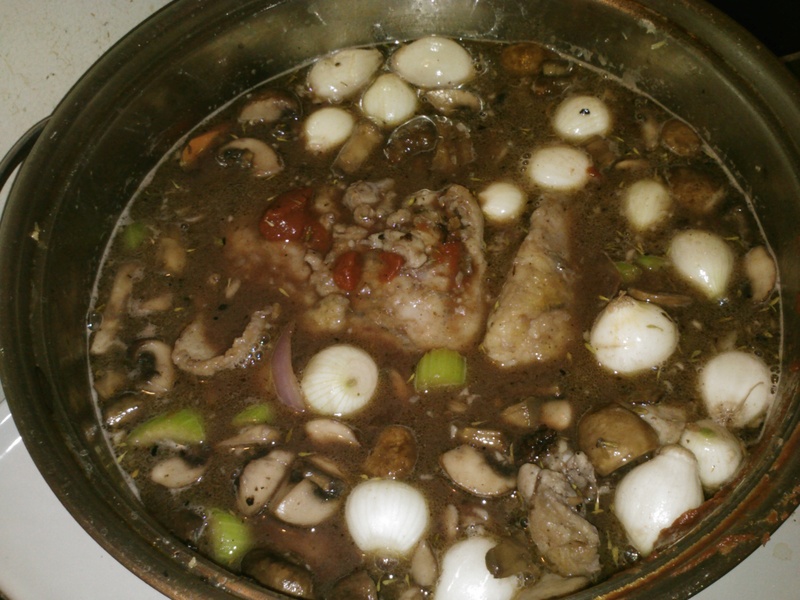 Pour mushrooms and their natural juices into the stock pot along with the veggies. 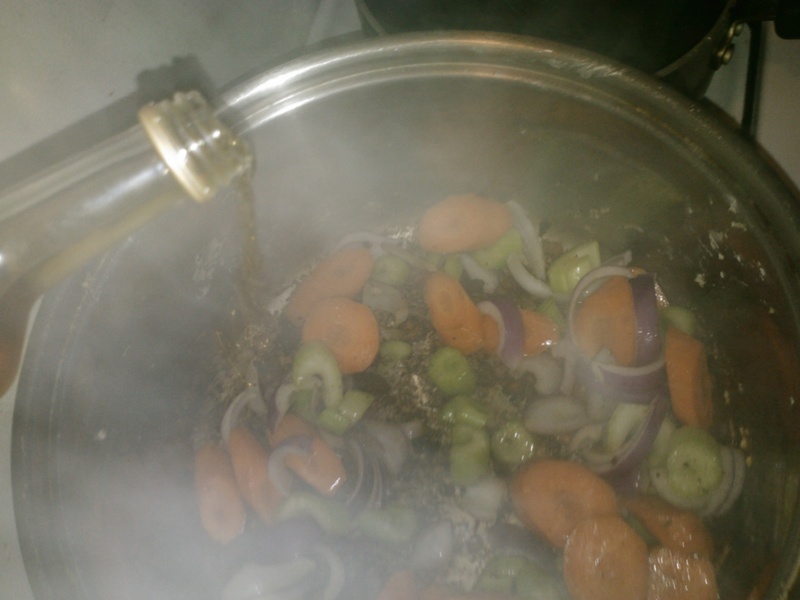 Add chicken, chicken stock and red wine to the stock pot. Cook until boiling, lower heat, cover and simmer for an hour. Serve over egg noodles, rice or potatoes and garnish with fresh minced parsley. Serve with a glass of red or whichever spirit you prefer. 😉 Bon appetit! 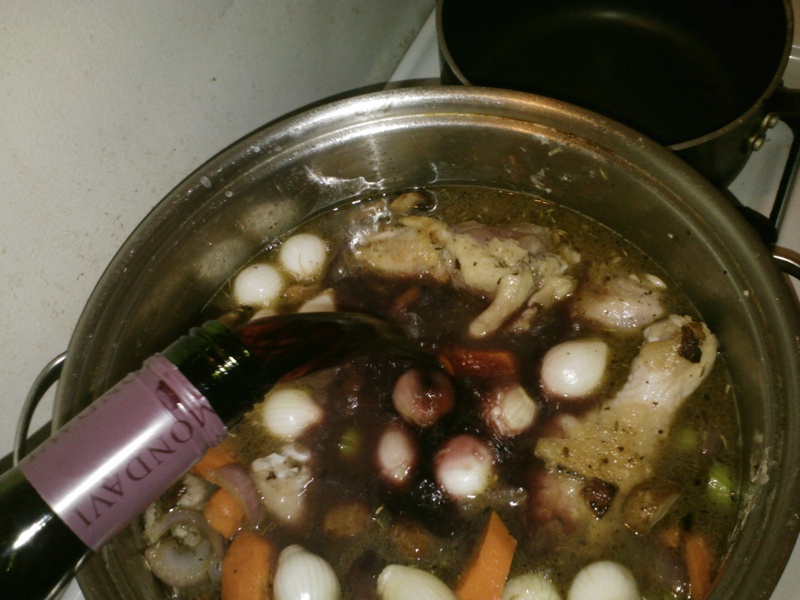 You’ve inspired me to cook coq au vin. Didn’t you love the movie Julia & Julia? I’m so happy to inspire! This dish was really fun to make. 😀 Yeah, I really did enjoy that movie too. In fact, I will check it out on Netflix, it’s been a while.